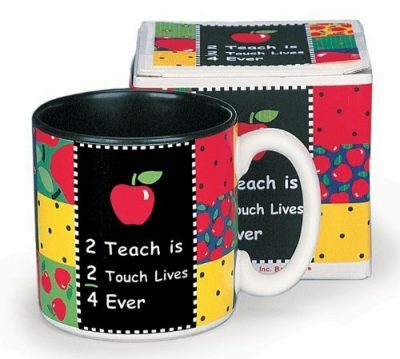 Show your appreciation to your teacher or your child’s teacher this Christmas by getting a nice gift. Read the article below for some teacher gift idea inspirations. All teacher gifts below are under $10, except the last one. Read on for Best Gifts for Teachers (Christmas Edition). Nice ceramic mug for teachers. With touching saying “2 Teach is 2 Touch Lives”. A cute mug at a decent price ($7.51). A really good book by Sandy Gingras (an artist and writer). Perfect for saying thank you for that special teacher of yours/ your child’s. Touching and inspirational. 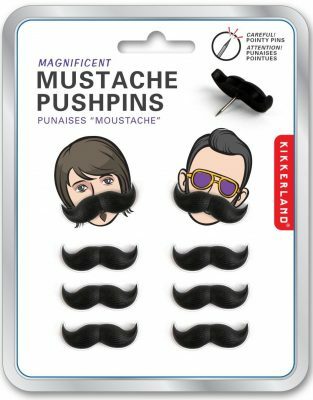 Fun little mustache push pins. Comes in the set of 8. Add some silliness and manliness to his/ her bulletin board. 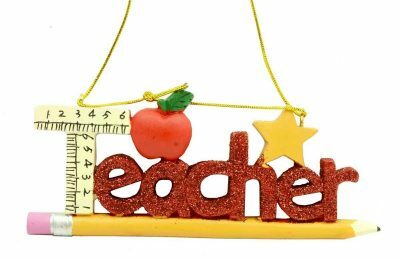 Teacher wording ornament with apple and pencil by Kurt Adler. Made of wood. Colorful and looks great. 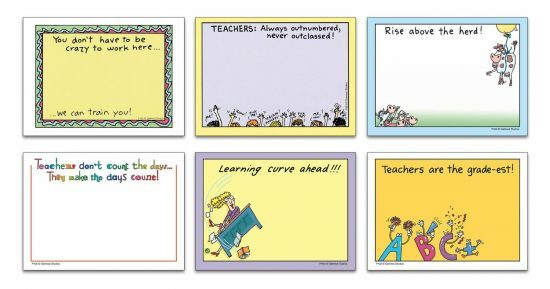 Make your teacher laugh with these funny self-stick notepads. Features humorous messages for teachers. Comes in a set of 6, pack of 2. This is the only gift in our list that is more than $10.